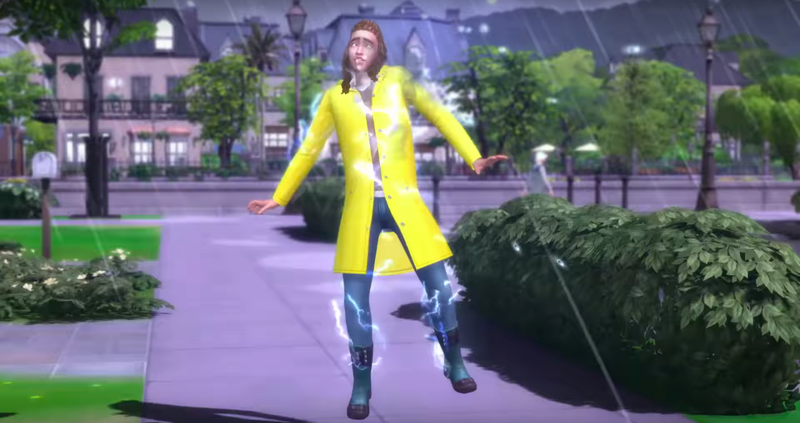 Once again, Sims fans have brought up old grievances to the game’s developers, leading one to take repeated Twitter breaks and a community manager to issue a plea for decency and patience on the part of the fans. The Sims 4 got off to a rocky start, and its reputation among fans has not quite recovered. The game launched without pools or toddlers, two features that Simmers felt were essential, and ever since then, fans have complained that the game is too flat and missing features they loved from previous entries in the franchise. To try to bridge the gap between players and developers, some members of The Sims’s development team make themselves available to answer questions from the community. They’re called “SimGurus,” and that includes people like senior producer Grant Rodiek, who often engages with fans on Twitter. That kind of transparency from a game’s developers is unusual, but for some Simmers, it doesn’t appear to be not enough. If you check Rodiek’s mentions, you’ll see person after person asking him what new features are coming for The Sims 4, and when. Rodiek’s been extremely transparent about not being able to answer those questions, but it hasn’t stopped people from asking, sometimes very aggressively. In the days leading up to September 25th, fans’ anger appeared to have reached a head. On the 12th, Rodiek responded to a fan asking for new content by saying that they released a new expansion three months ago. One fan compared the release cycle of expansions for The Sims 3 and 4, saying that they used to get expansions 2 or 3 times a year, and another accused Rodiek of lying to fans. Tensions only rose from there. Questions about why new content takes so long persisted until the 20th. Rodiek took a break from Twitter between the 21st and the 25th, then received a tweet that apparently convinced to log off again. The tweet has since been deleted, but further down in the thread, other Simmers talk about how this particular fan is often over the line with their anger. The next day, The Sims’s global community manager, known as SimGuru Kate, wrote a Twitter thread asking Simmers to please tone down the hostility. Update-6:08pm: Rodiek said today on Twitter that between the 21st an the 25th that he was off for the weekend. This isn’t the first time Simmers have expressed their frustration with the development team, and it likely won’t be the last. They’re a passionate and devoted community, but they’re also unhappy with The Sims 4, and their passion leads them to be vocal about it. Rodiek has expressed time and again that The Sims’s team is working as hard and as fast as they can. Hopefully the community can be patient.